Will and Rebekah Allen’s family has had a busy, but fulfilling and exciting year. Along with five other families, they have been participating in the First LEGO League (FLL) building, designing, and programming a robot. This is the second year that the Allens have been involved in the LEGO league. Rebekah states that she enjoyed watching the team develop as they divided the group’s responsibilities, shared tasks, contributed their skills, and learned to be gracious in all situations. They loved learning how to build and program these robots, but mostly enjoyed sharing the experience together. Since September 2011, they had been preparing for the Provincial Robotics Championship to be held in Edmonton on January 21, 2012. 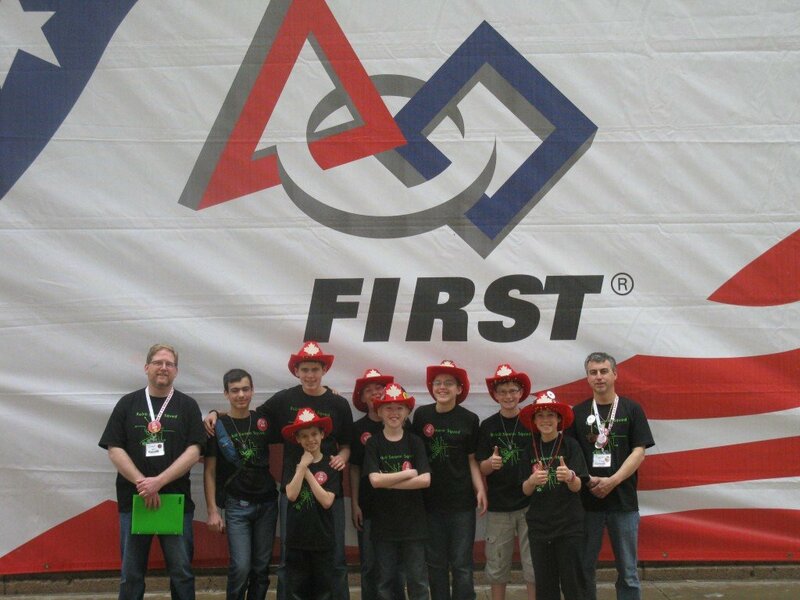 While in Edmonton, the Robo Swarm Squad was judged in the following areas: robot design, robot performance, the League’s core values, and a project which included a presentation. The team impressed the judges and achieved the Robot Performance Award. They were also given the Tournament of Champions Award, and an invitation to compete at the World Championship in St. Louis, Missouri, on April 2012. As the Robo Swarm Squad worked to prepare for their upcoming trip, they held an open house in their community to share what they had been doing and what they had learned. Also, they wanted to take the time to promote the LEGO First League, hoping to inspire others in the area of science and technology. As they looked forward to representing Canada in the World Championship, they fundraised to help cover their expenses, and fine-tuned their robot and presentation. Robo Swarm Squad is continuing to raise support for higher level competitions next year. If you are interested in sponsoring their team, contact them directly by email at robosquadrobotics@gmail.com. This has been a huge commitment for the Allens as homeschooling parents but well worth it. They are thankful for the opportunity to do this with their children as well as the freedom to choose interest-based learning.